After visiting 12 different schools in Surrey and clocking up over a 1000 miles in Vancentio, the GSC van, our schools tour has reached its end. It’s been a remarkable experience and we have been warmly welcomed by staff and students alike. All of the schools are disadvantaged in someway and we hope the tour allows them to gain better GCSE grades and increase their understanding and confidence in our cultural heritage. We are incredibly grateful for the support from The Geoff Herrington Foundation and The Guildford Community Grants Scheme, who helped us put the project together. 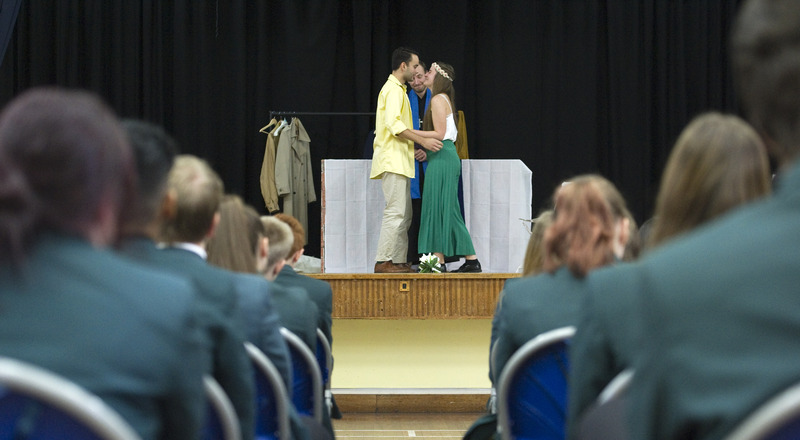 Budget cuts are affecting these poorest schools worst of all and we feel privileged to have been able to share our greatest playwright with over 1500 students. You can listen to the BBC’s piece on the project below (broadcast in November 2018). This was our first secondary schools tour, but we hope that it will become the start of an ongoing project. We want to back with more murderous Scots and feuding families, for many years to come.